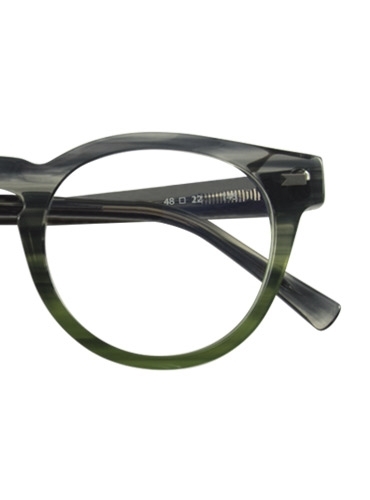 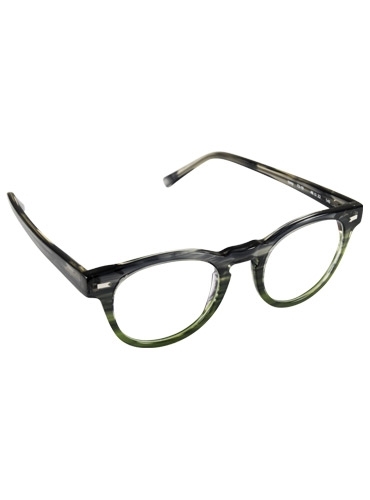 Semi-round frame in storm grey and forest green. 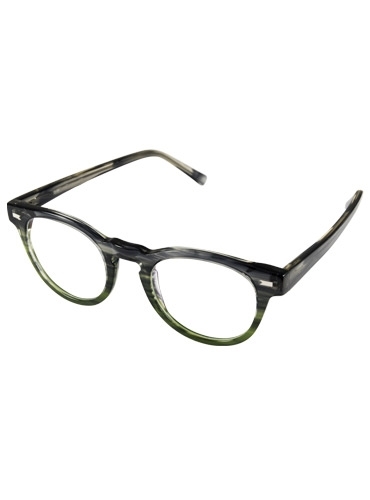 Made for us in Italy by Bob Sdrunk. 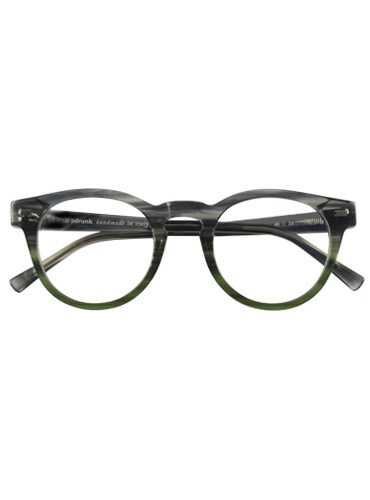 Lens: 48 mm; Keyhole Bridge: 22 mm; Temples: 145 mm.